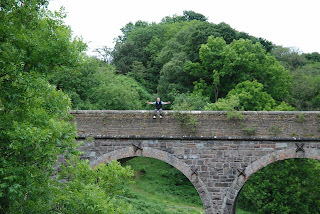 What is it with me and viaducts? 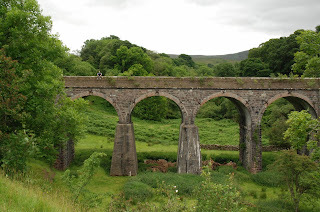 I'm on Penruddock viaduct, a few miles east of Keswick on the old Cockermouth Keswick and Penrith line (1865 - 1972). The rather ugly concrete strengthening to some of the piers was carried out around 1916. My trip involved (including some hellish hills) an unplanned 13 mile round trip bike ride this weekend, hence my attire (couldn't find any bicycle clips). Well worth it, but good job the return run was mostly downhill.